In the first ever public hearing, Europe’s human rights court examined Poland’s role in CIA ‘black site’ prisons and torture of suspects. Poland refuses to share information with the court saying that it could compromise a domestic investigation. Lawyers of two terror suspects currently held at the US detention facility in Guantanamo Bay, accused Poland of abuse during Tuesday’s hearing at the European Court of Human Rights in Strasbourg, France. The hearing examined claims that Warsaw allowed the CIA to operate a jail for suspected terrorists, who were tortured, in Stare Kiejkuty, a remote village in north-east Poland. Both suspects said at the hearing that they were brought to Poland in December 2002 with the knowledge of the Polish authorities. Poland declined to reveal to the court any information saying that it could compromise a separate investigation by Polish prosecutors, and because the court could not guarantee the information would be kept confidential. "The government does not wish to confirm or deny the facts cited by the applicants," said Artur Nowak-Far, Under-Secretary of State in the Polish foreign ministry. The Polish investigation has gone on for five years without an outcome. Polish authorities have never disclosed the investigation's terms or scope, while human rights groups have accused Warsaw of deliberately postponing the investigation. The UN Committee Against Torture has criticized the “lengthy delays” and said that it was “also concerned about the secrecy surrounding the investigation and failure to ensure accountability in these cases." The lawyers of the two detainees said that the evidence of torture presented to the judges at the hearing will make it harder for the Polish government to close its eyes to the case. "A really strong and compelling case has been put here, so in that sense the hearing was very encouraging," said lawyer Helen Duffy, on behalf of Interrights, a human rights group, Reuters reported. The ECHR is to take several months before issuing a ruling, while no further hearings have been scheduled. The CIA’s post 9/11 extraordinary rendition and secret detention programs are believed to have involved up to 54 foreign governments which aided the US in its operations in a variety of ways. This included hosting CIA black sites on their territories, detaining, interrogating and torturing suspects, allowing the use of domestic airspace and airports for secret flights transporting detainees, and providing intelligence which aided efforts to the detain and rendition individuals. 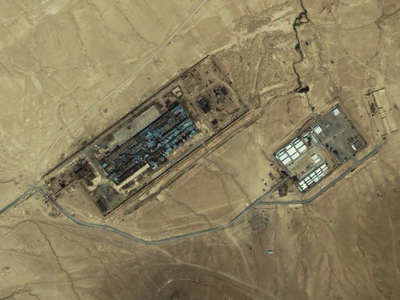 American lawmakers have never said where the ‘black site’ prisons were based, but intelligence officials, aviation reports and human rights groups said they included Afghanistan and Thailand as well as Poland, Lithuania and Romania. 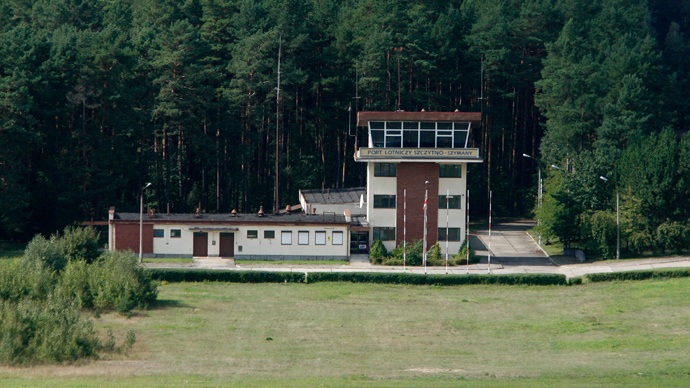 Investigators believe a military base in north-eastern Poland was the location of one of the CIA secret prisons between December 2002 and September 2003. Former US President George W. Bush first acknowledged the secret prisons in 2006 after numerous media reports on the issue. He ordered their closure and announced that many of the detainees would be transferred Guantanamo Bay, Cuba. The two detainees - Abd al-Rahim Hussayn Muhammad al-Nashiri, a Saudi Arabian national of Yemeni descent and a Palestinian, Zayn al-Abidin Muhammad Husayn, also known as Abu Zubaydah – claim that they were waterboarded at the Polish facility during the interrogations. Currently, the two detainees are held under ultra-secure conditions in a section of Guantanamo known as Camp 7 according to a declassified report released in 2009.